I am all about finding new beauty products, if you haven’t figured that out already, and I definitely look forward to opening my Birchbox each month. And now that I have put myself on mandatory lazy weekends until Baby Girl arrives, I was able to actually test out the products that arrived in my Birchbox before I reveal everything to you! First, let me say that I love Birchbox’s rebranding that they did. Yes, I’m in marketing/PR so I pay attention to brands and I really like their crisp new logo. 1.) Oscar de la Renta Something Blue fragrance – I’m not usually one for the fragrance samples that come in my Birchbox, but I actually really liked this one. It had such a nice clean and not too overpowering scent. Definitely a scent I can keep in my purse to help freshen me up after I’ve been outside on a hot day. 2.) Color Club Nail Polish in London Calling – I’m super excited about this color, it’s more of a key lime green than my picture actually shows. This is a color that is definitely out of my normal red or pink selections and I can’t wait to try it out. I appreciate the nice, light summer color. 3.) LAQA & Co Lil’ Lip – Ok, this is a really cool product, I just don’t like the color. This lip pencil goes on so smooth and with just one coat gives you a really nice wash of color. A second coat gives a serious pop. My color was just way too pink for my likes, I’m more a neutral lip kind of girl. 4.) Origins Clear Improvement Active Charcoal Mask – I love this product!!! I’ve wanted to try a mask and was so happy to receive one in my Birchbox. The mask got really tight while it was drying on my face, but it washed off so easily. Afterwards, my skin felt so smooth! Also, I already felt like my pores were cleared out after just one use! I will certainly be using this mask again and buying the full size version. Extra: I love that Birchbox included some super cute postcards in this box. 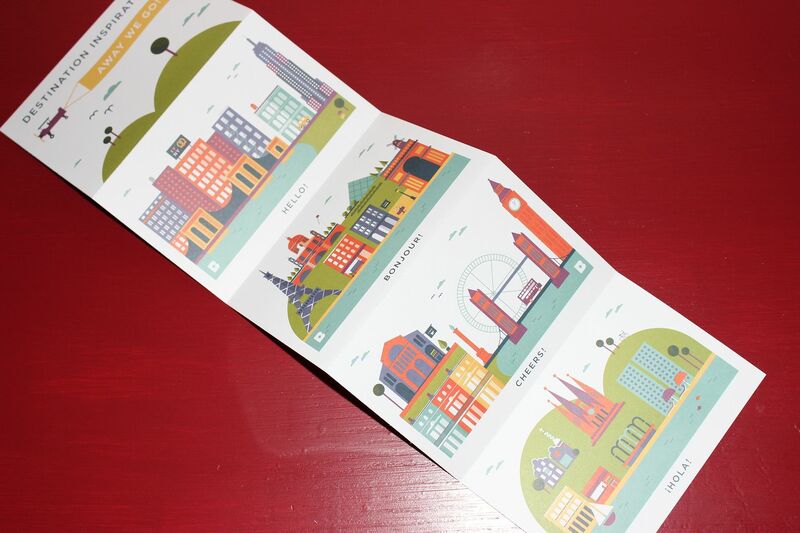 On the back of each card is a tip for a perfect day in each city listed on the cards. So awesome! Do you have a new product that you are interested in trying out, like I was looking for a mask? 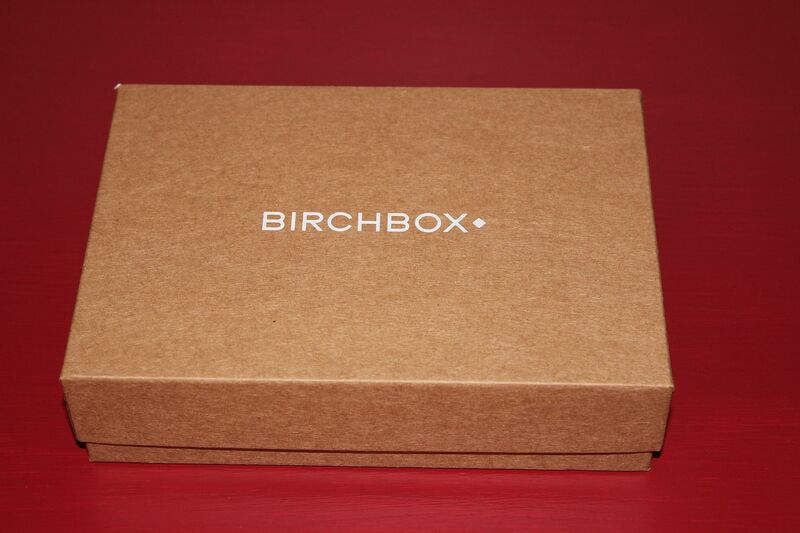 If you have a subscription to Birchbox, what did you get in your box this month? Tell me about everything in the comments section below. 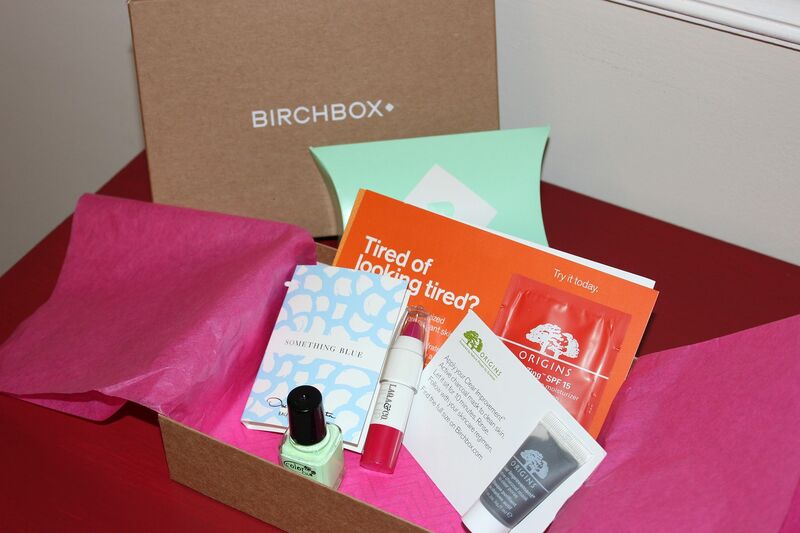 And if you are interested in signing up to start your own Birchbox subscription, then click here to sign up! I use the GinZing moisturizer and I love it! Origins always has such great products! That nail polish shade is so cute!! I hope I get it! 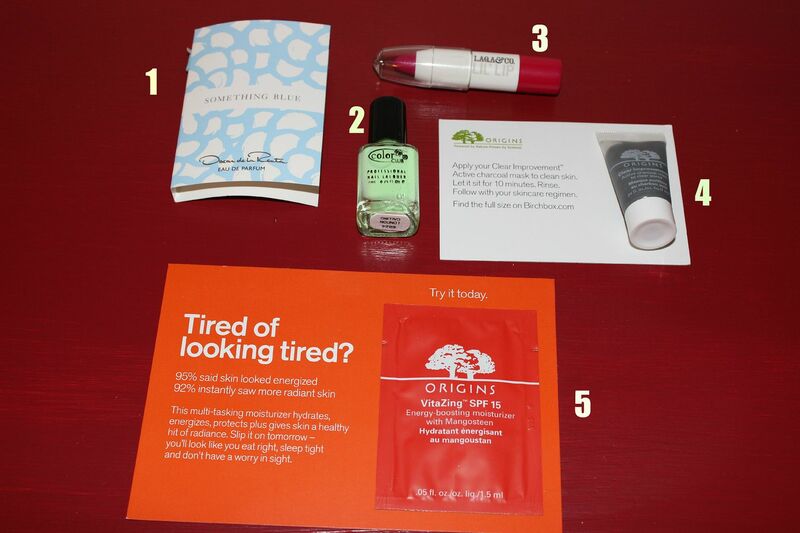 I need to sign up for Birchbox but keep putting it off, looks like some good samples this month! Found your blog via #fundaymonday! I've always thought those subscription boxes look so awesome, but I can't justify plunking down the monthly fee! It looks like there's some awesome stuff in there though, I love those postcards! I got the same nail color! LOVE it! I am supposed to get my first ipsy box any day now. I cancelled Birchbox because I felt like all I was getting is hair masks lol. I love that polish and pencil though!! I got the same fragrance and love it! I also got a polish, mine was a bright lavender-esque color - perfect for summer, but I feel like the color club polishes chip pretty easy. Still love getting them, but not sure I'd go out and buy one by them.